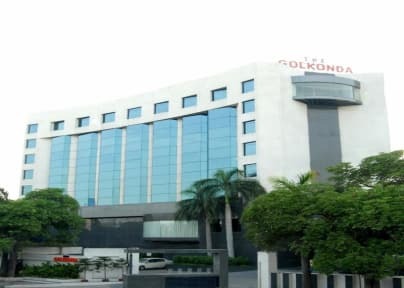 The Golkonda Hotel Hyderabad, Refreshingly all new four star business chic hotel in a prestigious and convenient location at the foot of Banjara Hills, Masab Tank and only moments away from the city’s main commercial, IT, shopping and entertainment hubs. 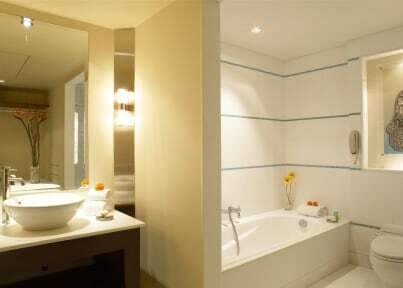 Beautifully furnished in contemporary style with lavish use of glass, wood and steel, provides a distinctive level of luxury, comfort and value for money with the impeccable service, also the gateway hotel to the city from the Airport. The best 4 star hotel in Andhra Pradesh awarded by Department of Tourism Government of Andhra Pradesh. 1. Check in after 13:00 Hrs and Check out 11:00 Hrs. 2. Taxes are NOT included in the prices. GST 18% on selling rate as applicable and need to be charged additionally upon check in. 3. Child policy: No charge for 01 child below 10 year sharing the same room without an extra bed.